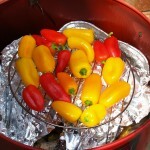 I made a smoker for the blog this weekend. Yep, I learned how to make a smoker to use in the oven when I was in Girl Scouts – we learned some incredible stuff in my troop. Mrs. Rooney was our leader – and that woman was a genius! I just looked her up (their oldest son is famous and has been on 60 Minutes – in a good way He’s NOT Andy Rooney) finding out that she passed away in January. I had to sit a minute and cry a little. Mrs. Rooney taught me things in Girls Scouts I’ll never forget, like the smoker. I’m going to do a little tribute to her when I make that post. But now for the potatoes. After I made the Ultimate Macaroni Salad, I had left over red, orange and yellow sweet bell pepper as I only used half. I wanted to use them up but not wanting to make the same old things I usually make I decided to let it percolate around for a day. That’s when I remember Potatoes O’Brien! I loved them once and made them years and years ago once. Yep, once but they were good. Mr. Picky Eater walked through the kitchen and made that face that says, “Yuk, I’m NOT going to like that”. Whatever, I was going to like them. 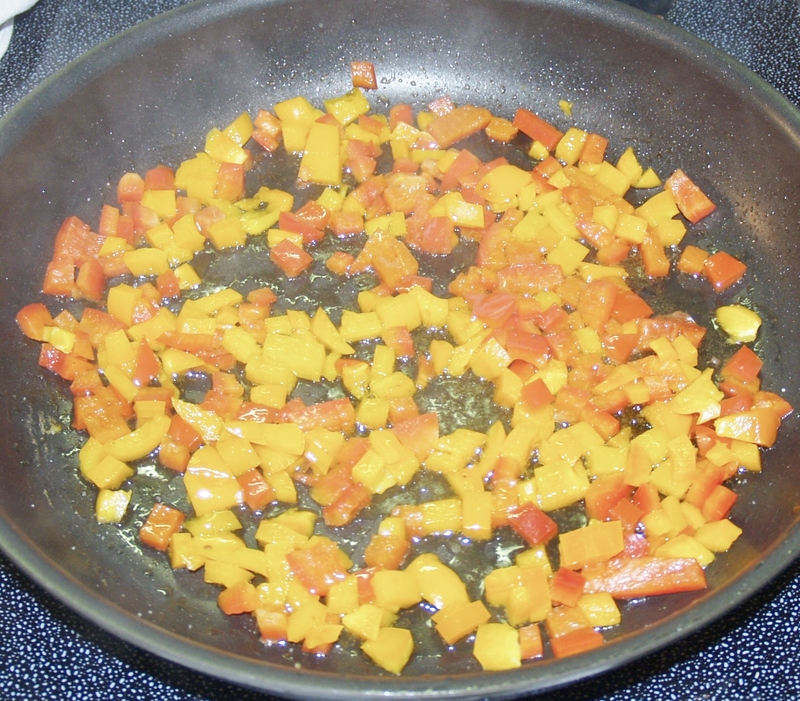 ½ each red, orange and yellow bell pepper chopped even size. 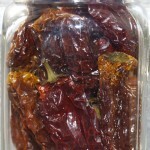 Put 2 Tablespoons oil in pan on medium heat and add chopped peppers cooking for about 4 minutes until soft. Add green onions and cook for about 1 minute more then remove from pan setting aside. 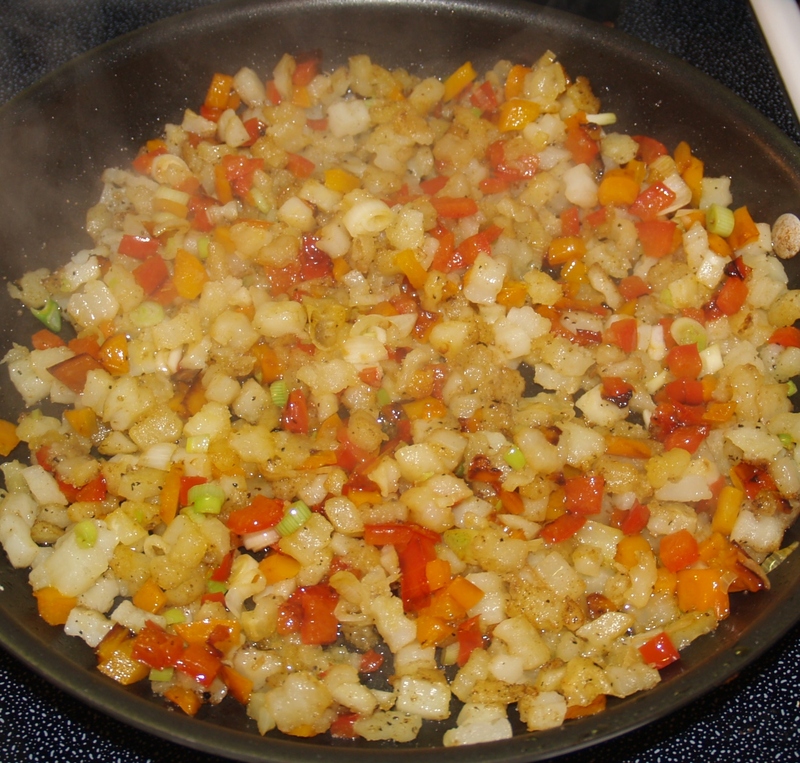 Put 2 more Tablespoons oil in pan and add hash browns cooking until they are nice and brown then add back the peppers and onions. Salt and Pepper to taste – YUM!! Wow this looks so delicious! I have never tried to make a smoker sounds like quite an experience! It is and I made several things that even my Australian friend who is a vegetarian can eat!! Can’t wait to show you! How about a little garlic. Oh my! Doesn’t that sound delicious? I’m going to try that next time! Looks like camp food 🙂 Yum and also pretty! It was great! In fact, MPE liked it so much he put them in a Ziplock bag and we had leftovers the next night and it was still good. I generally don’t care for leftover potatoes at all. 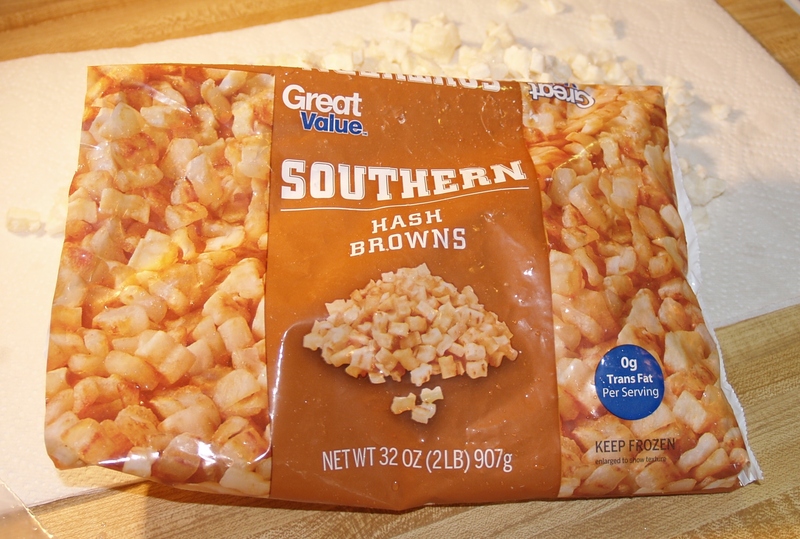 I’m going to be thinking about those potatoes all day…I haven’t had O’Brien potatoes in so long. I hadn’t either and they ended up being great! Thank you for helping me mix it up in the kitchen over here, I’m in such a boring rut. 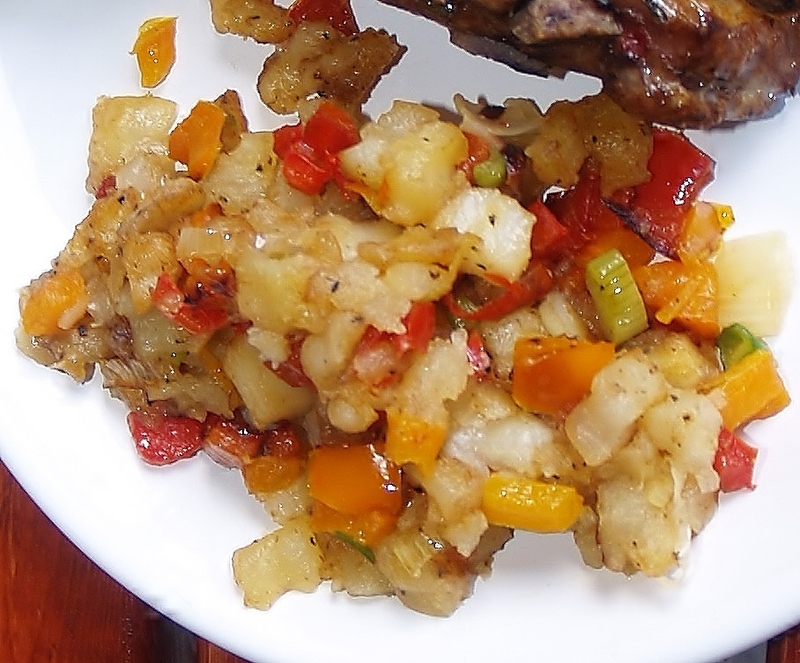 The fam will love these, they gobble up potatoes (hash browns, twice baked, mashed, cubed and grilled) whenever they’re served but this fresh idea should do the trick! Great! Please let me know how it turns out – they are really good. However, I am super excited to see how you make a smoker for the oven! Get that post up soon, please! I would love some served up right now with some eggs! Thank you very much! I’ll be right up there – oh yeah, I’ll need to wait till there are no tornadoes between you and me!! I love potatoes O’Brien! They are good even the second day. I sometimes melt cheese over the top too. I know they are great aren’t they? I thought about adding chopped bacon but I was in a hurry! My mom used to make potatoes this way and then she would serve them with a poached egg on top! Thank you so much for dropping by and commenting – please come again! I have to do tutorials because I need them myself! I’m still learning to cook although I’m pretty good at it now but sometimes when people say some term that everyone seems to know, I feel like a dunce because I have no idea what they are talking about! I was glued to the weather channel last night ~ Please tell me that you and your family is ok.
Hey CJ – yep, we are fine. It was a wild evening though – so wild I’m going to post about it. The weather at our house was bad about 9PM last night but after that things slowly began to clear up. Have you seen the video of the 3 tornadoes at once that combined to make the huge one killing those 5 people? Wow! Thank goodness you guys are okay – I don’t think I saw the video you’re referring to but I did see the one with the weather channel guys that got thrown – Looked like two tornadoes coming at them at once. Thank you Melissa – you are just so sweet! Thanks for sharing at What’d You Do This Weekend. MMMMM MMMM…anything and potatoes makes me happy. Best wishes for tasty dishes! It is wonderful that someone like Mrs Rooney left such an impression in your life. I hope that one day when I am long gone, my memory will live on in a young woman’s life. I hope I will too! Thank you for dropping by and please come again! Yum potatoes o’brien is my fave! Aren’t they great?? Thanks for dropping by and please come again. Thank you so much for dropping by and extending the invitation. I will come right over and please – come again! Thank you Patsy for dropping by and deciding to stay! 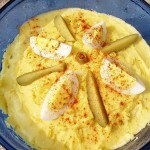 You will love these potatoes – my grandest son (13 months) LOVES them! These look awesome!!! 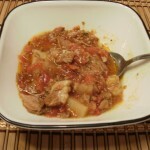 Thanks for sharing with Simple Supper Tuesday.